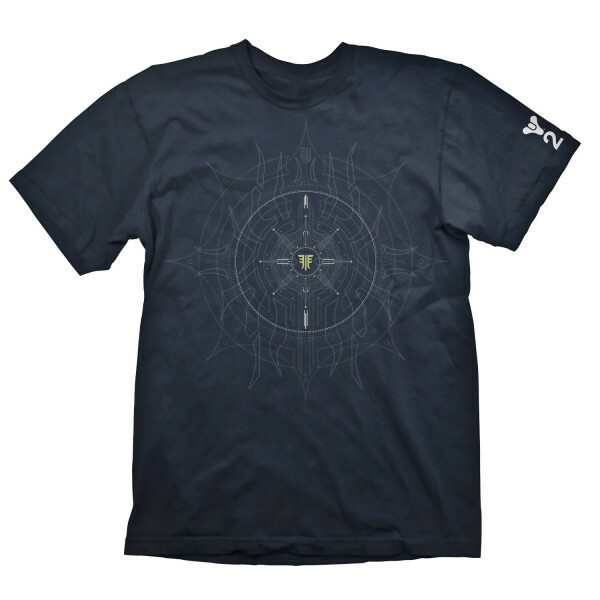 Shirt showcasing the "Forsaken" design from Destiny 2. The sleeve has a small logoprint. Made from 100% cotton, available in S, M, L, XL & XXL. 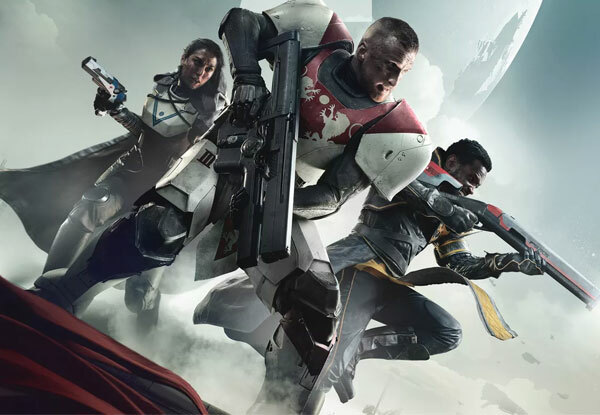 Activision's Destiny is a first person shooter series with roleplaying elements, developed by the celebrated game studio Bungie, which previously worked on the successful Myth and Halo series. Critically acclaimed as one of the best modern Online-Shooters, the series managed to win over old and new fans of the developer alike and built a huge and active playerbase. The series great lore, vast game world and unique blend of gameplay elements create a truly captivating experience!